Chile need to beat Venezuela today to keep pace in CONMEBOL’s final 2018 World Cup qualifying round and they got off to a perfect start this afternoon, scoring three times in the first 22 minutes. Alexis Sánchez hadn’t had a great weekend leading up to the game (he got popped for a speeding ticket) but he erased memory of that with this drop-dead gorgeous free kick. I’m not sure he could have placed that much better. 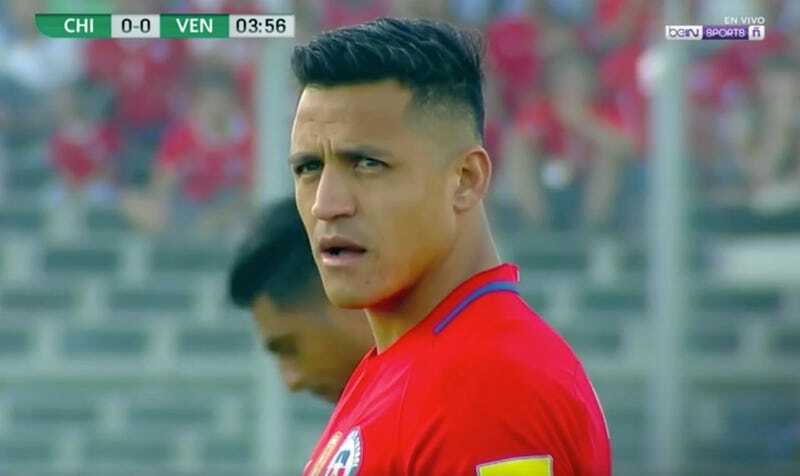 Sánchez then buried Venezuela a little further when he scored again 19 minutes later.